GSE, one of the largest ink logistics providers, announced an enhancement for their ink manager software. The improvements include an optional module for improved control of job procedures and costs, and better traceability in label and packaging printing. The software minimizes ink-related waste, provides improved ink yields, reduces setup times and enhances reporting and business planning. The ink calculator function automatically determines exact amounts of color needed for printing each job. Alongside volume, it can also calculate the printed surface area covered by each color, based on the length, width and coverage factor. The software allows printers to define or describe specific procedures and equipment used for printing each job. 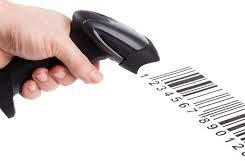 In addition, it records all changes, offering better traceability in label and packaging design history. When a certain printing job is re-ordered, this information can be instantly recalled, assuring identical color results with the correct amount of ink, while the print operator only needs to enter the desired number of print runs. Plan to visit the Labelexpo Americas 2018? You can check out the GSE stand to experience how this software works.